This product is researched and proven to cross the blood brain barrier. It is proven to help remove the 'tangles' in the brain that build up and cause Alzheimer's. I take it daily for prevention. 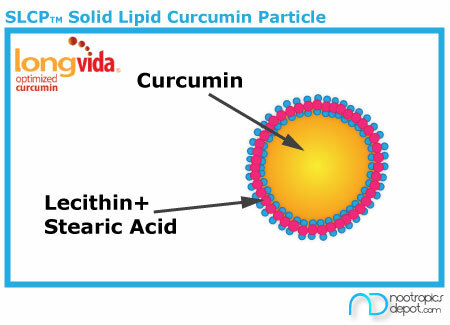 We make our own capsules - no fillers, just the Longvida optimized curcumin - and less money that buying pills. I developed tenosynovitis and suffered crippling pain that required opiods. After being given stupid treatments by 2 doctors, I lost faith in pharma doctors and designed my own protocol using every known anti-inflamatory I could research. Longvida was definitely the strongest weapon in my arsenal. I regained the use of my left side within 3 months as opposed 15 or so months and am now on a maintenance dose of 200mg, twice per day. As a bonus, two small warts that had been on my foot for years, disappeared. I don't plan on stopping this anytime soon. I’m totally sold on the science behind this stuff. It’s great that there’s an effective way to get curcumin absorbed efficiently and cross the blood brain barrier. In practice I’ve been taking 500mg on an empty stomach every morning for about a month. I’m prone to seasonal depression and it hasn’t been as bad as last year so far. But with something like this that takes weeks to work and has a subtle effect it’s impossible to separate from placebo without objective measures. I can say ND has always been on point for the many orders that I’ve made from them. Buying. Supplements and nootropics online can be sketchy so it’s great to have a source I can trust. As a sufferer of more than one chronic disease, I take a few supplements to support my health. I feel as if my immune system has benefited as I rarely get colds although people around me are sick. I will continue to take it as part of my overall wellbeing supplement regime. I have noticed less hip pain when taking 2 to 3 doses per day. Alternatively, I have mixed 15 doses Longvida in 2 oz Kerry Gold (salted butter), 3 oz avocado oil and placed in fridge mixing to ensure even distribution. I scrape a little bit by tiny spoon a few times per day. So Tasty! 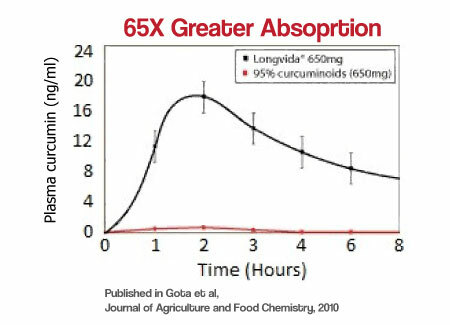 Although the container of Longvida Curcumin is not large, one dosage is such a small amount, it will last a long time. The taste of the powder is very mild so I just eat it from a small spoon. My neurologist suggested getting this particular curcumin for help with MCI. Entertaining, awareness, and good wellbeing, are what I’ve experienced with this product . I've bought this product many times already even though I don't expect or notice any acute effects. However, the scientific literature available makes a compelling argument for me to take it given my current health. I'll probably keep taking it and buying from this store, the only one that offers such quality at such low prices (and bulk). I have not noticed any changes since taking this product, but that is not the reason I decided to use it. Research appears to show that Longvida Curcumin is beneficial for brain health as well as for general health and this is a cost effective and well tested form. I will continue to take it.